The former Boyce Station Depot. The town of Boyce, later the town of East Chattanooga, has a rich history. Ker Boyce, a wealthy merchant from Charleston, S.C., was among those who came here after the Cherokee Removal (Trail of Tears) to invest in its railroads. Ker's son, Samuel J. Boyce, also came and settled on a farm, giving the family name to "Boyce Town." Boyce was an organized town west of Boyce Station on the Cincinnati & Southern Railroad and the Citico yards between Elmendorf and Cushman streets and Dodson Avenue. The town of Boyce began to spread from the railroad tracks east to Taylor Street and from Bachman to Sims streets. The name of the adjoining neighborhood, Sherman Heights, came from the bloody Battle of Missionary Ridge in November 1863 in which Union Gen. William Tecumseh Sherman's troops struggled against Confederate units commanded by the capable Gen. Patrick Cleburne. Sherman Heights ran from north of Crutchfield Street and east of Dodson Avenue to the foot of Missionary Ridge. An article in an 1890 edition of The Chattanooga News noted that "adjoining Sherman Heights and embracing Boyce is an assured fact and will be a suburb of great manufacturing importance." The merger of Sherman Heights and East Chattanooga occurred around 1910. The town of East Chattanooga was formally annexed into the city of Chattanooga on Jan. 8, 1925. Marr Field, between today's Amnicola and Glass streets, served as Chattanooga's major airfield during the 1920s until a series of plane accidents pointed out the danger of its vulnerability to Missionary Ridge's air currents. East Chattanooga at its peak included: two grocery stores, Red Food and Kidwell's; three doctors, Ulin, Steve and McMilky; four clothing stores, Smith's, Connor's, Gene's and Foster's; two movie theaters, including the walk-up Rivoli and a drive-in; seven thriving churches including Baptist, Methodist, Wesleyan, Church of Christ and Church of God of Prophecy; two major banks, Hamilton and American National; and much more. Afterward, the area languished due in part to the decline of rail usage and the rise of the Eastgate shopping mall. In 2016 Jumaane Lanier was elected president of the new neighborhood group. We were challenged to come up with a name other than East Chattanooga Neighborhood Association. Selecting the boundaries was easy because our boundaries bumped up against our sister neighborhoods, Avondale and Glass Farms. But we wanted to look beyond names already associated with East Chattanooga. We knew that Avondale had an East Chattanooga Improvement Association. We also knew that any shooting or major crime committed in an inner-city neighborhood including Avondale, Bushtown and East Lake was reported incorrectly as having occurred in East Chattanooga. In considering possible names for our new association, our president focused his attention on the Wilder Street Bridge. Fred Flach chimed in and said, according to his partner Daniel, this area was originally the town of Boyce. Our historical researcher, Chuck Hamilton, pointed out there had been a Boyce Station Depot near the Wilder Street bridge (named after Union Col. John T. Wilder, standout commander at the Battle of Chickamauga, post-war Chattanooga mayor, industrialist and supporter of the Chickamauga and Chattanooga National Military Park.). Our president observed that the Boyce Station was where people came together. 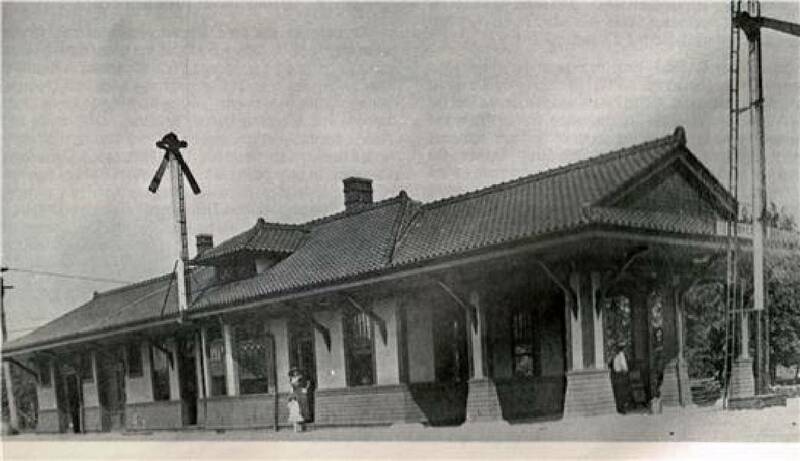 Although there had been several local Boyce Station depots, relocated due mainly to fires, our claim was to the station that existed near the Wilder Street bridge. In March 2016 we voted to become the Boyce Station Neighborhood Association. Throughout the process of coming up with an association name, we discovered much about the amazing history of other neighborhoods. An 1887 news article noted that Bushtown was known as "A City Of Negroes," where blacks had moved to Bushtown and erected houses, a church, a school and stores. An 1890 news article stated that Churchville was a colored settlement with homes built by people who came out of slavery. For me, a black person living in a neighborhood with people of many races and backgrounds, it is clear that we in Boyce have come full circle as a diverse, embracing neighborhood that welcomes all people for the purpose of positive, forward movement to contribute to a bigger, inclusive vision for the city. With the rich history of neighborhoods, Chattanooga looks like a beautiful patchwork where all people truly live, work and play. Cora Wofford Lanier is vice president of the Boyce Station Neighborhood Association. For more visit Chattahistoricalassoc.org.